I don’t think there’s a day that goes by that I’m not running after kids cleaning up messes. Between toddlers and teens, there might be a tie for who’s the messiest out of the bunch. Bring on the holiday season and a houseful of company and I inevitably procrastinate to the point of running around last minute cleaning the house. 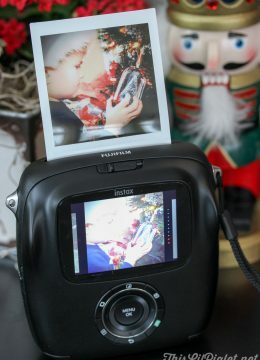 That’s why these Holiday Gift Guide choices are from Hoover. Hoover isn’t new to the cleaning game, for over 100 years has designed powerful, easy-to-use products that clean your entire home from floor to ceiling, and even the very air you breathe. That’s why we all know the Hoover name…because we’ve either had one or knew someone who has. Say what you like…most of us would appreciate these two Hoovers under our tree this year! It may seem boring but having something which is built for quality and makes our lives easier…well that’s just a GREAT gift in our eyes. 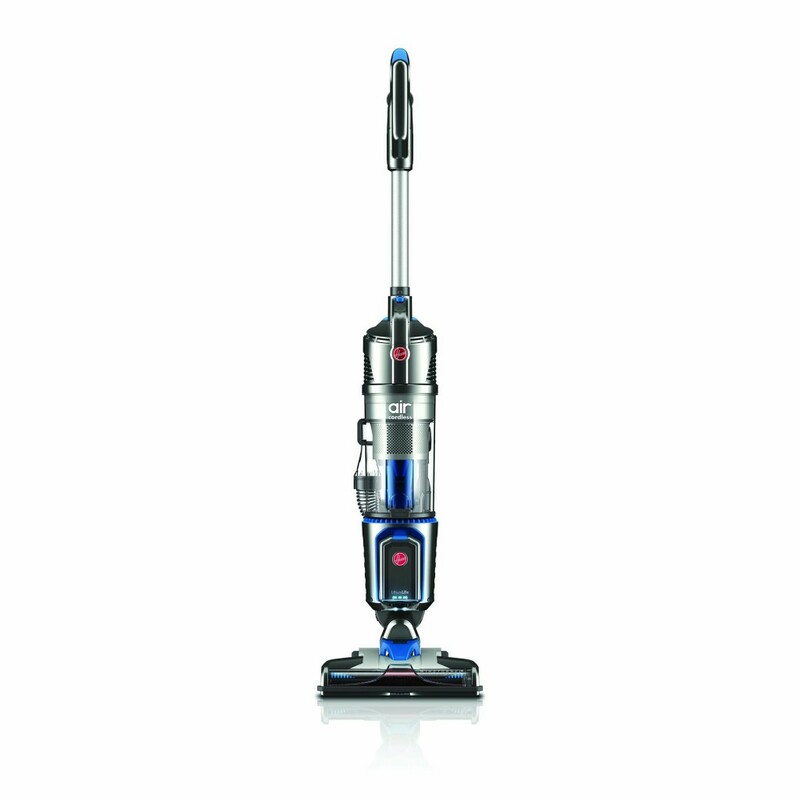 Finally, a full-size cordless, cyclonic vacuum that can clean your whole home using lithium-ion battery technology. The vacuum comes with two LithiumLife batteries when combined; provide an average of 50 minutes of fade-free power to clean both carpets and hard floors. That’s enough to clean a 2,500 square foot home with no loss of suction and without recharging. The WindTunnel 3.0 technology allows you to clean deep with three nozzle channels of powerful suction to capture dirt — other vacuums rely on one. It includes a steerable design and a weight of just 9.9 lbs and removable cleaning tools. All backed by a five-year limited warranty. Hoover has removed the cord but kept everything else. It’s a simple change that changes everything; the Hoover Air Cordless vacuum will make you rethink cleaning. Not only will you have the freedom of vacuuming all the floors in your house without having to unplug and plug back in, you’ll now be able to get into those hard to reach spaces. The powerful and light weight design allows for you to really get a deep clean with the easy maneuvering of vacuuming without an immobile cord attachment. Let Hoover’s new cordless vacuum redefine how you clean. Dirt Devil presents the 360 Reach™ Bagless Stick Vacuum. Unlike the traditional vacuum, the 360 Reach’s lightweight design and extended reach arm, allows clean-up to happen from floor to ceiling! This 4-in-1 stick vacuum uses a Cyclonic Filtration system, creating powerful suction that can cut through any mess. The Vac+Dust Tools capture heavy dirt and debris, while the SWIPES™ micro-pads eliminate all traces of dust. Just snap on the Crevice Tool and extend your cleaning reach to swipe dust and debris from book shelves, curtain rods, ceilings, cupboards, and everything below. The Pivoting Extension Tool gives you precision and control when cleaning areas that are out of sight and reach. Likewise, the Powered Stair & Upholstery Tool adjusts to clean every part of the step, while the 27 foot cord allows you to move easily from room to room. 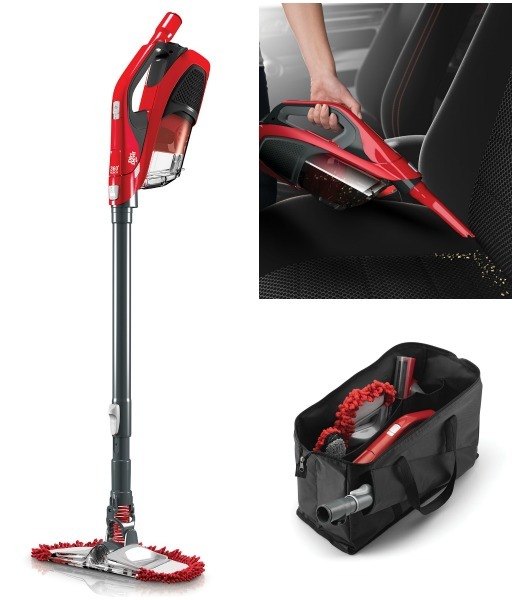 With the detachable hand vac, hard jobs like cleaning the car interior are made easy! 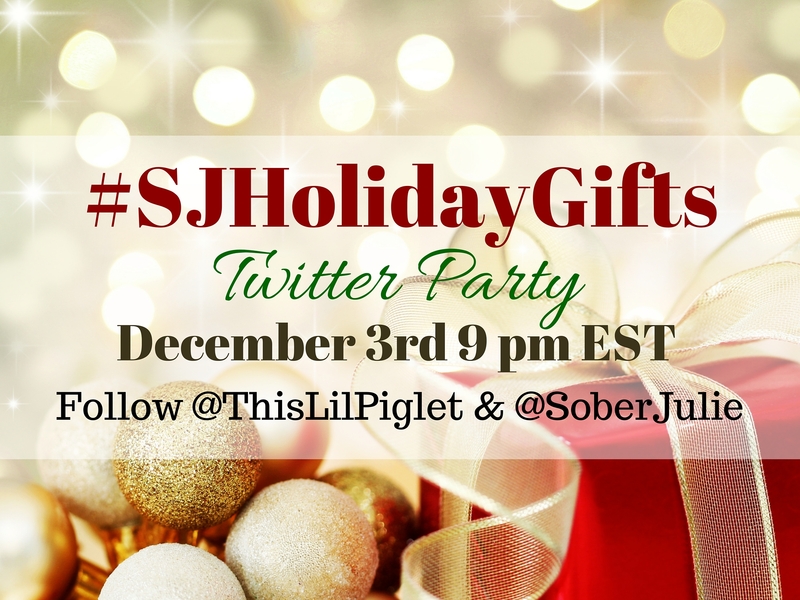 If you’re looking for Christmas gift ideas for more people on your list, make sure to check out the rest of our Holiday Gift Guide features and don’t forget to join us for the #SJHolidayGifts Twitter Party on December 3rd at 9pm EST where Hoover will be giving away an amazing prize! RSVP HERE. We are so lucky! 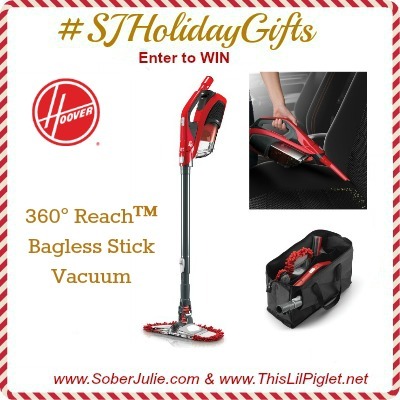 We have 2…yes 2 Hoover Dirt Devil 360 Reach™ Bagless Stick Vacuums to giveaway to 2 lucky Canadian readers!! 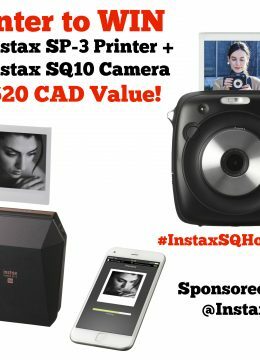 This giveaway is open to residents of Canada 18+, excluding Quebec residents. I would use this vacuum in my living room! 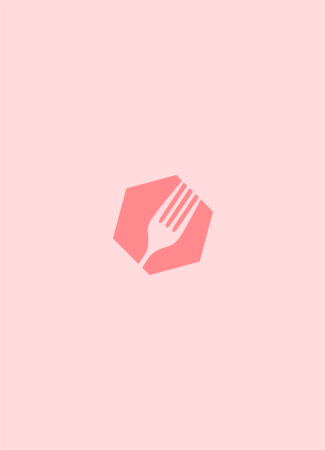 Every inch of our house is where I would use it….my daughter brought home lice from school and the school is still not rid of it. Our vacuum doesn’t work that well(taped together) so i would definitely be making sure all areas of carpet where well vacuumed so we don’t have to face going through that again! I would likely use this vacuum in my car to clean the seats and floor. I would use it in my minivan. I would love to use the 360 reach first in the spare/grandkids room. I have an old pull-out couch and this would be perfect for getting behind it! I would vacuum the hallway carpet, and the top of the cabinet in the same hallway. I would first use this to clean out our car. I’ll be using this to clean the rafters of cowbwebs! I have wall-to-wall carpet, and there are crevices that my Bissell just can’t reach, especially where the floor meets the wall. I’d do those first. I’d get high up at the stairs where I can’t reach very well! In the living room under the couch. The upstairs of the house – I hate dragging my vacuum up there so it gets neglected! I would be using the Hoover 360 reach vacuum first to get the dust bunnies out from under the bed. Under the couch of course! The first place I’d clean is under my furniture!!! I have not vacuum the ceiling before so would like to try that. I would use them for my van. I would be using this in my kitchen and back porch mainly, I also think this would be great for the holiday trailer. I;d use it in my car first and then the basement. In my bedroom to clean all the corners of my room!!!! I would use this vacuum to reach under the beds! I would use it in the livingroom and diningroom area first but lets be serious there is not way I would stop there. This would make vacuuming fun ! I would be using it in the car, followed closely by wherever the kids need to clean up! I would use it in every corner of my kitchen! With two year old twins, vacuuming is a daily event, starting in the kitchen and working my way everywhere else! I would have to tackle between the cushions on my sofa – who knows what’s lurking down there! I’d use it on the couch in the basement where my dog sleeps and see if it works better than my other vaccum. To clean the car ! I’d use it to vaccuum the stairs. I’m using the 360 reach first under the bed. I will be using the 360 reach first in the car.